Paws Parlour provide caring grooming of all dead hair leaving your cats coat completely knot and matt free. In performing a hygiene clip we remove the fur around your cats toilet area, to stop any toilet waste clinging to the cats coat. We'll always trim your cat with thinners to leave your cat with a natural looking coat, (scissors are far too dangerous). It’s almost impossible to groom matted or knotted fur without causing your cat pain, so in cases like this we use clippers to avoid distressing your cat. Nail clipping is necessary in persians who stay in the home and particularly older cats as their nails grow thick and long, often growing into their paw pads. At Paws Parlour nail clipping in younger outdoor cats is not recommended, as young cats need their nails for protection and climbing. 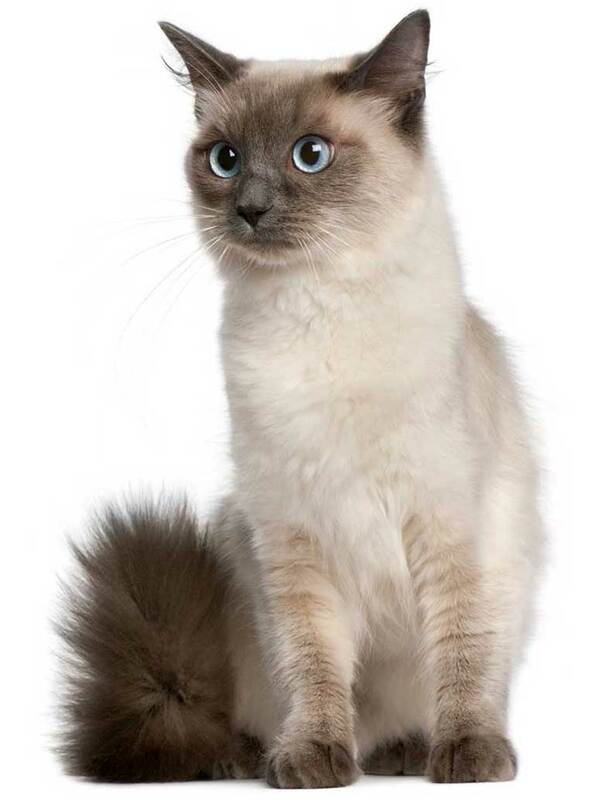 Cats with extremely thick coats are suitable for thinning, which leaves a lovely natural look. Most cats dislike water, but we can wash them if you wish. Your cat can be wet bathed to get them cleaner than they can themselves. We use a 100% natural luxury animal shampoo and then rinse off. Finally we'll dry and grooming your cat, often with grooming powder to add volume to their coat.